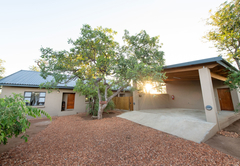 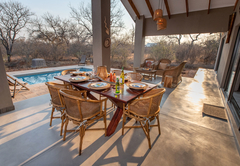 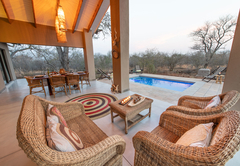 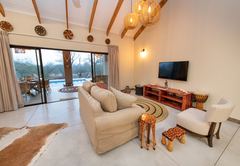 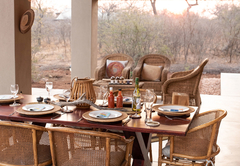 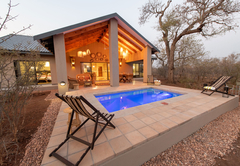 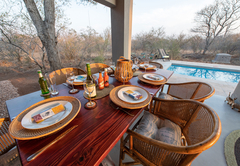 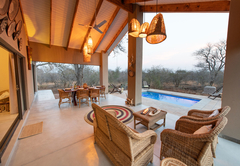 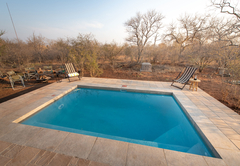 Rooibos Bush Lodge is a property providing self catering in Hoedspruit for up to 6 guests visiting the Valley of the Olifants region. 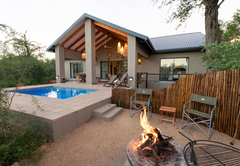 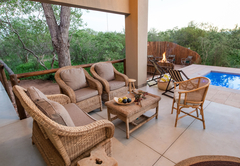 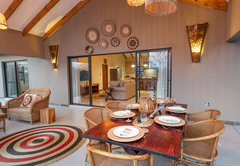 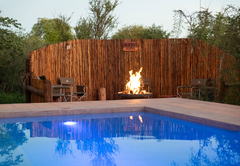 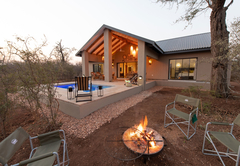 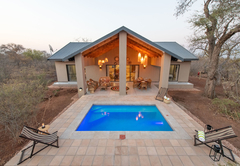 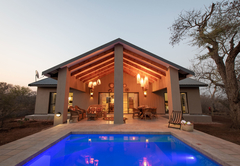 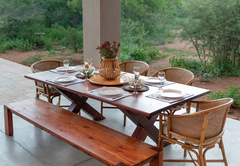 Situated in Hoedspruit, Rooibos Bush Lodge is an upscale lodge that provides accommodation for six guests in the Hoedspruit Wildlife Estate. 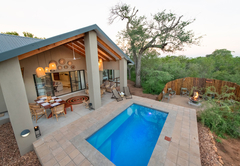 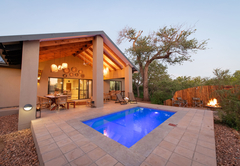 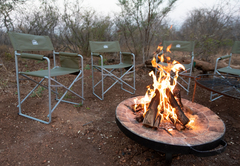 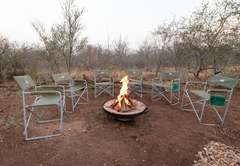 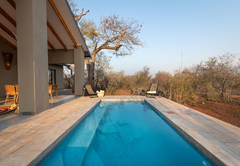 Guests can easily visit Manoutsa Vulture Colony, Balule Game Reserve, Drakensig Golf Club and more from here. 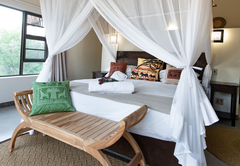 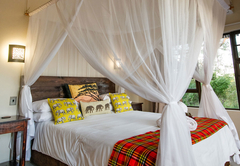 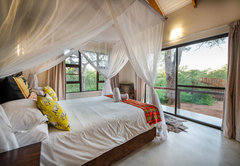 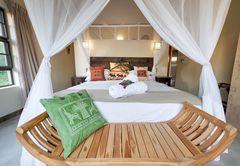 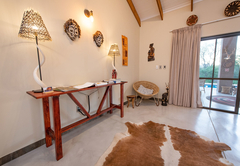 The self catering lodge has three bedrooms; the main bedroom is furnished with a King-size bed, the second bedroom has a Queen-size bed and the third bedroom has two single beds. 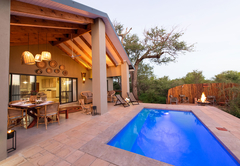 There are two bathrooms with baths as well as magnificent outdoor showers. 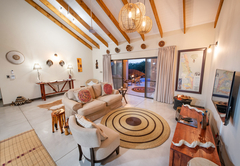 The lounge is furnished with comfortable couches arranged around African art and has a TV with DStv. 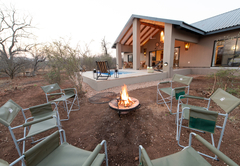 Wi-Fi is provided. 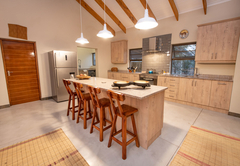 The high-end kitchen is well equipped and guests can dine at the unique kitchen counter top with bar stools. 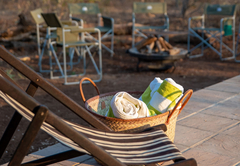 A laundry area is included. 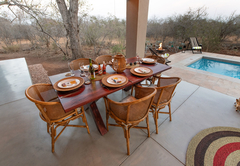 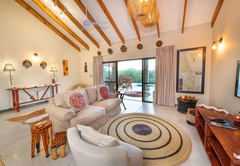 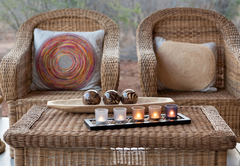 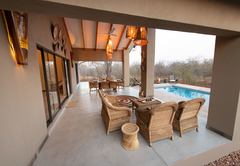 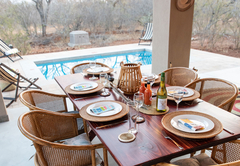 There is also a furnished patio area which overlooks the swimming pool and beyond to the braai. 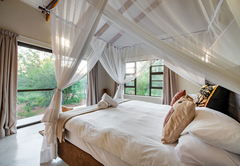 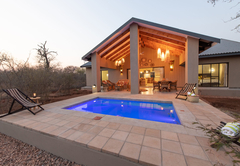 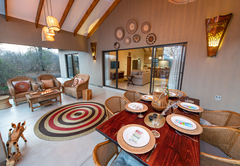 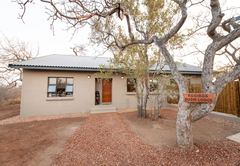 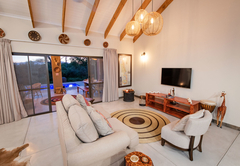 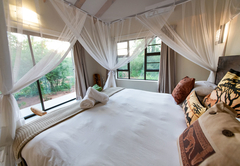 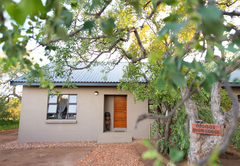 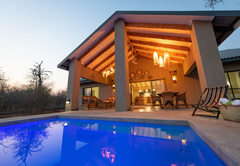 The upscale lodge is self-catering and has three bedrooms. 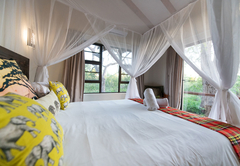 The main bedroom is fitted with a king-size bed; the second bedroom is fitted with a queen-size bed; and the third bedroom has two single beds. 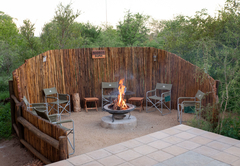 Response timeRooibos Bush Lodge typically responds to requests in 5-10 minutes. 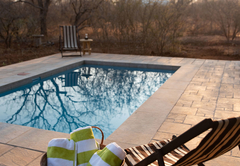 Child policyChildren of all ages are welcome but must be supervised as the swimming pool is not fenced, nor does it have a net.